Bring the simple sophistication of fine bone china into your home with this Spiro 30cm dinner plate. Found in the finest restaurants and hotels around the world, William Edwards bone china plates are the optimal way to showcase your food. 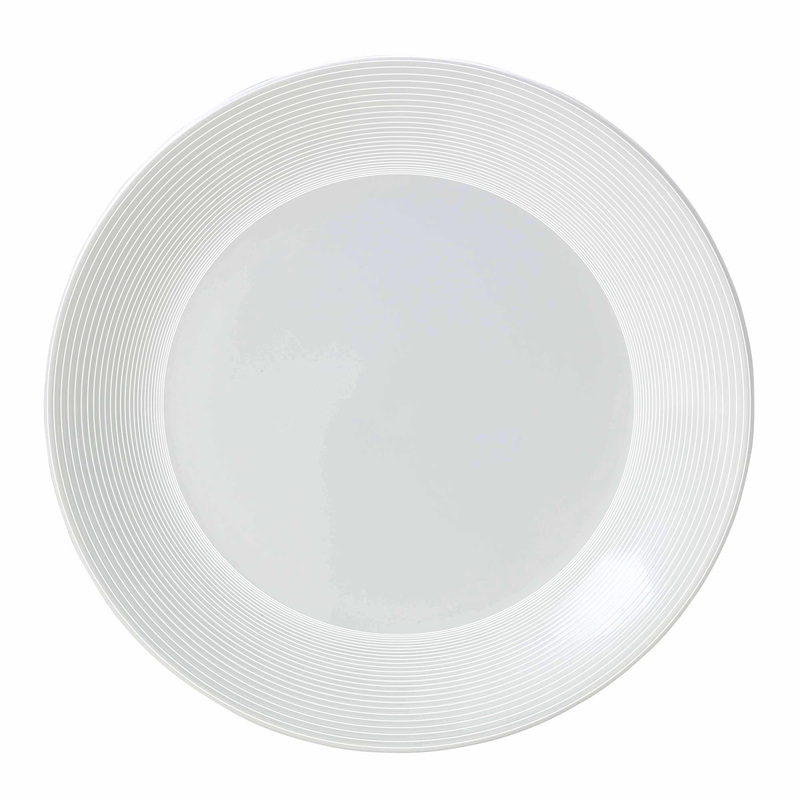 Bring the simple sophistication of fine bone china into your home with this Spiro 30cm dinner plate. Found in the finest restaurants and hotels around the world, William Edwards bone china plates are the optimal way to showcase your culinary masterpieces. The clean geometric line work of the bone china directs your gaze toward the food, while raised lines add subtle texture to this 30cm white dinner plate.